Shirley Nestler, author of One Infantryman’s Journey, will be appearing at Barnes & Noble in Wyomissing, PA this Saturday, September 12 as part of an authors’ event. She will be signing books and meeting readers from 1 to 3 pm. Be sure to stop by! 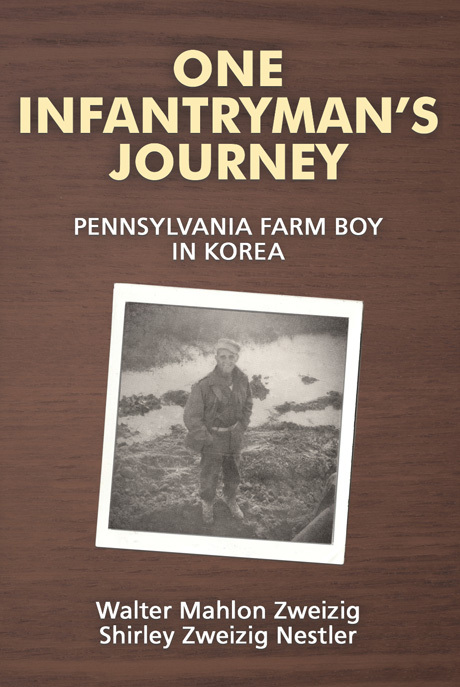 One Infantryman’s Journey is the fascinating true story of Walter Mahlon Zweizig, a Pennsylvania farm boy who fought in the Korean War. Walter served with the 25th Infantry Division.